James Cotton has had the career that could have fallen to Little Walter, had Walter led a less self-destructive life. As it was, Cotton built upon the reputation he garnered for himself during his twelve-year tenure in the Muddy Waters Band. 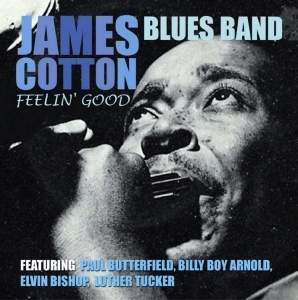 These sessions took place in 1963 and 1967 and feature Paul Butterfield, Billy Boy Arnold, Elvin Bishop and Luther Tucker These were the recordings that helped propel Cotton into one of the most popular live performers of the late 60’s and early 70’s,leading to many major label deals.